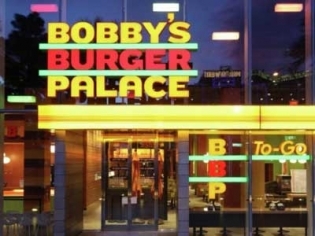 Bobby Flay brings his made-to-order, high-quality, never-frozen signature burgers all created from his very own recipes to Las Vegas. Located on the corner of Aria Place and Las Vegas Blvd, this location caters to the patron who loves a quick but delicious bite while on the run. Try the Brunch burger with bacon, cheese and a fried egg, one of the most popular selections. Each table has five different sauces to add to your burger or fries. Get any burger “Crunchified” with free potato chips on top! There are traditional fries, onion rings or sweet potato fries and if you can’t decide they will give you a combo of any two! Burgers can be made with Angus beef, ground turkey or a chicken breast.